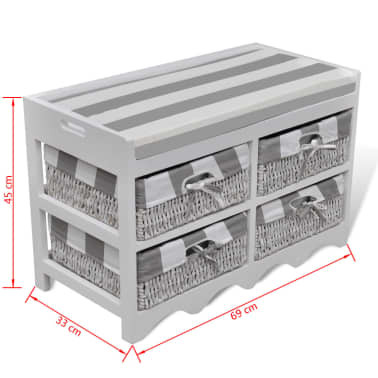 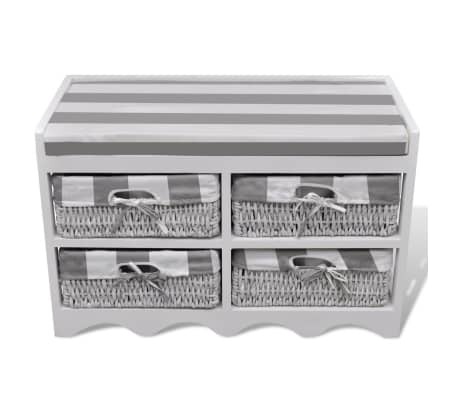 The stylish storage bench is suitable for use in a variety of settings like hallway, living room and bedroom. A cushion is provided for extra seating comfort. 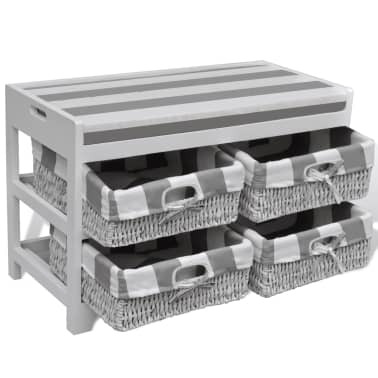 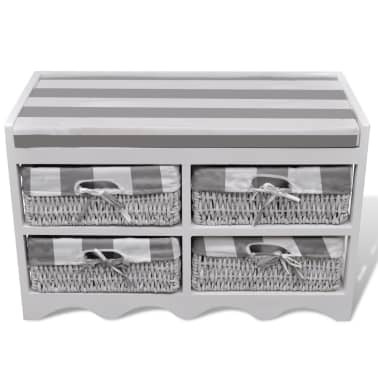 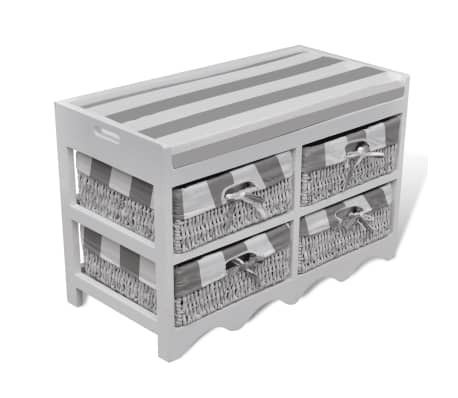 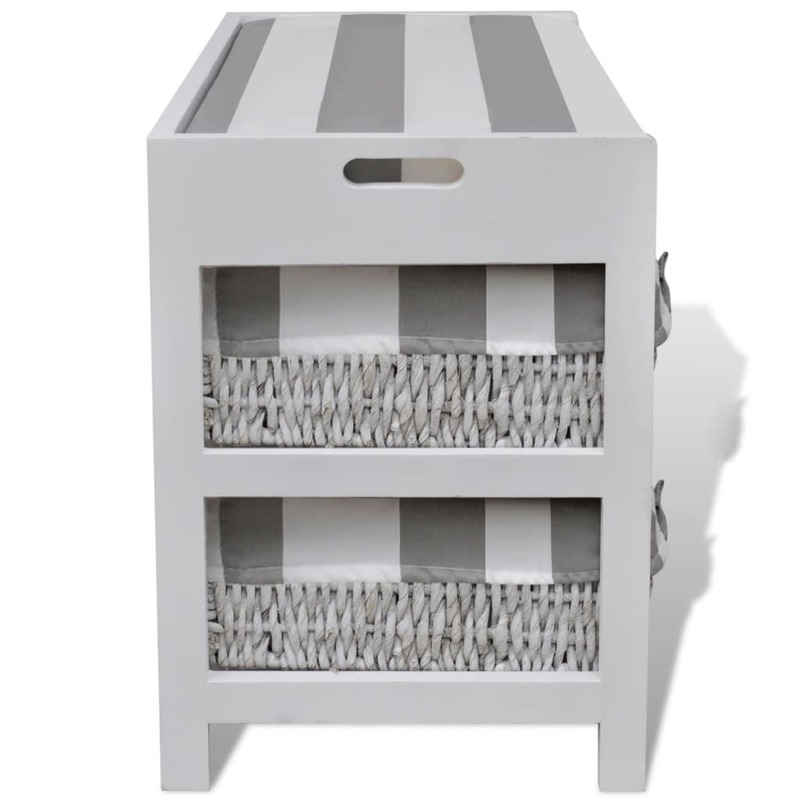 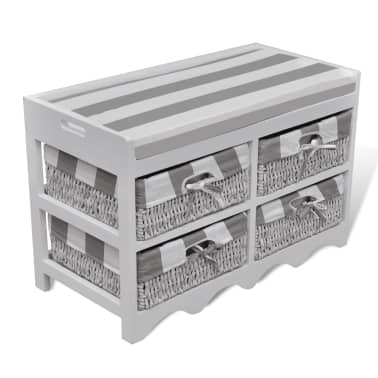 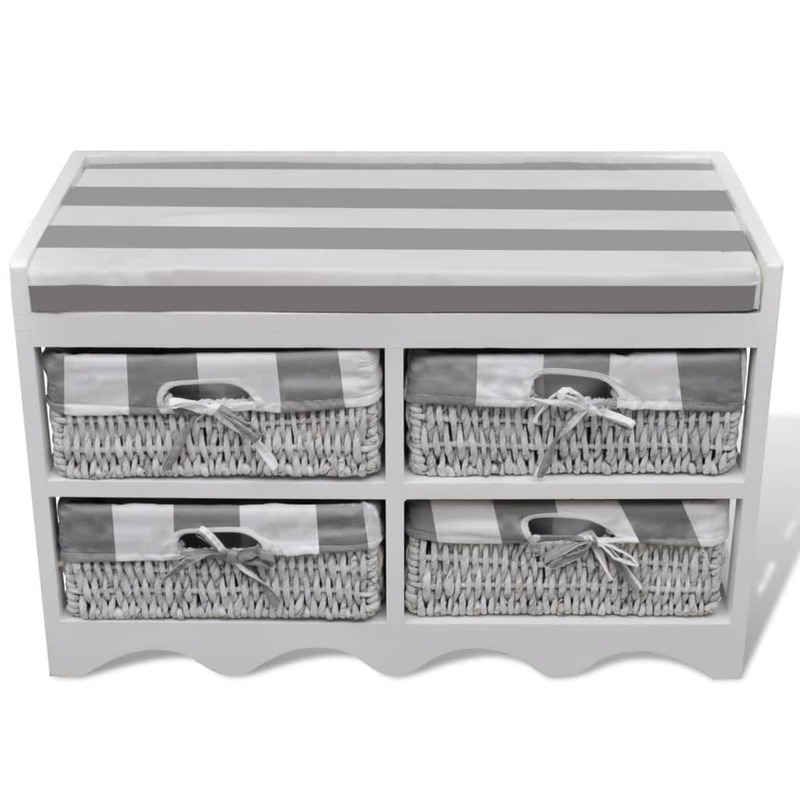 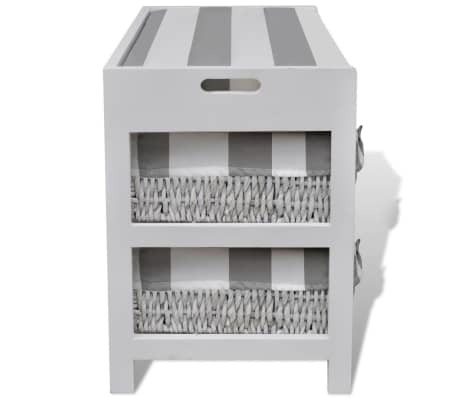 With 4 baskets below, the bench seat is also a practical solution for easy, tidy and neat storage. It is ideal for storage of shoes, bags, books, toys and other belongings. 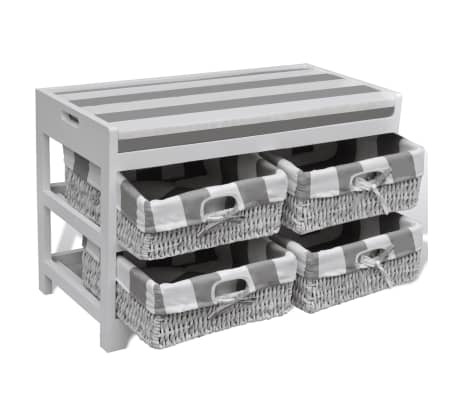 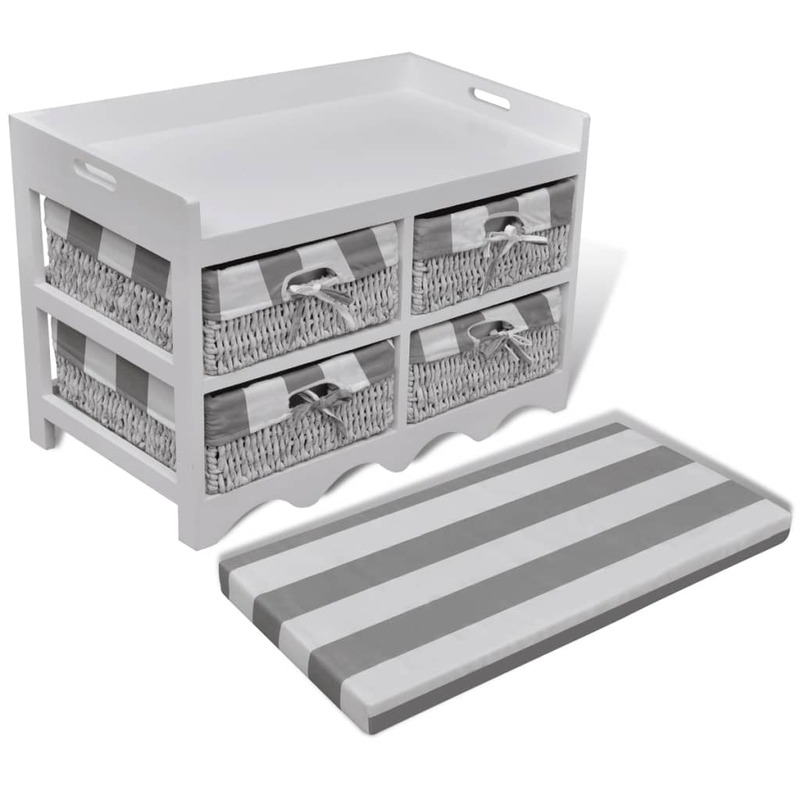 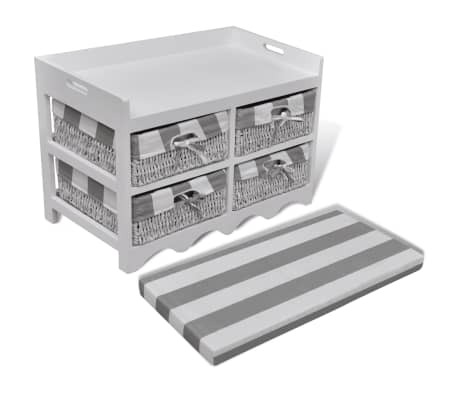 The storage bench is really a great combination of stylish design and function. 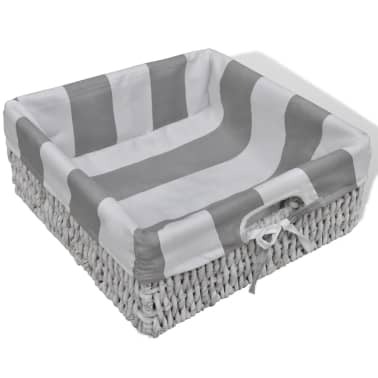 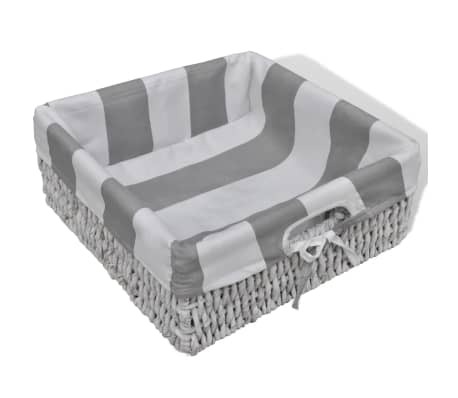 Made of wood frame and durable corn rope baskets, it is designed for years of use.